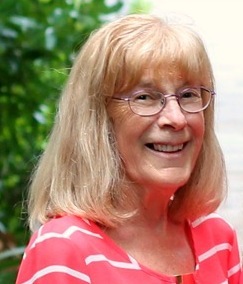 Sharon K. King, 68, of Fremont, passed away at 12:30 a.m. Monday, April 9, 2019, at her residence. She was born Feb. 23, 1951, in Fremont, to Richard and Anna (Filliator) King. Survivors include her two daughters, Tanya (Jim) Miller of Jacksonville, Florida, and Tina (Tom Michaels) Nickel of Fremont; five grandchildren, Bobby and Bryce Nickel, and Meghan, Codie and Hennessey Miller; four brothers, Richard (Peggy) King of Wayne, Joseph (Tammy) King of Helena, Randal (Bruce Stull) King of Tiffin and James (Tammie) King of Oklahoma; and a sister, Cheryl (Paul) Adams of Gibsonburg. She was a 1969 graduate of Gibsonburg High School. Sharon retired from Atlas of Gibsonburg after 25 years and was waitress at Fremont Moose. She was a lifetime member of Fremont VFW, Women of the Moose and an avid NASCAR fan. She also was a candy and cake decorator. Visitation for family and friends will be 3-7 p.m. Thursday, April 12, 2019, at Engle-Shook Funeral Home & Crematory in Bettsville. Funeral for Sharon will begin at 10 a.m. Friday, April 13, at the funeral home with the Rev. Scott Robles officiating. Burial will follow in Pleasant Union cemetery, Old Fort. Memorial contributions may be made to ProMedica Hospice.